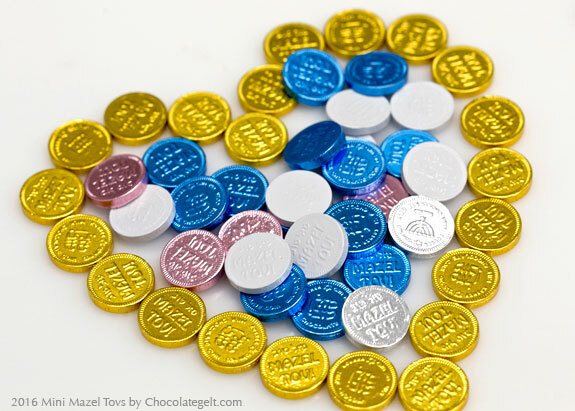 Chocolate Coins Called "Mini Mazel Tovs" are delicious and bring good luck! 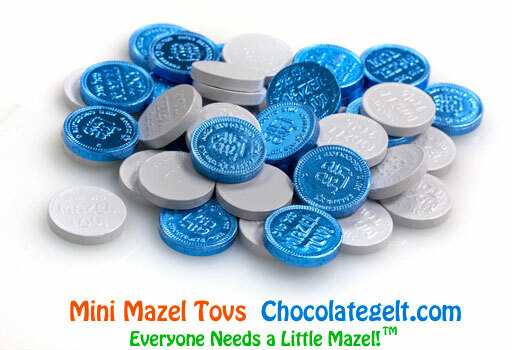 Our favorite new product, Chocolate Mini Mazel Tovs, spread cheer and good luck everywhere they go! And that includes Kosher weddings. What Are Mini Mazel Tovs? 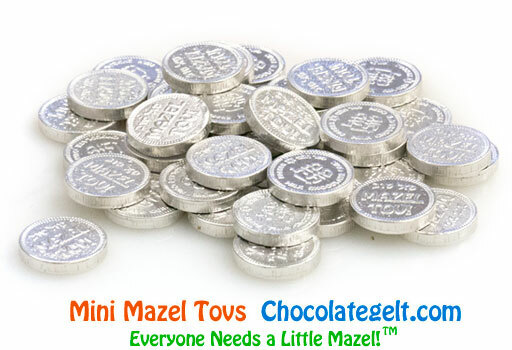 Chocolate Mini Mazel Tovs are no ordinary chocolate gelt! Great Kosher wedding sweets, they are bite-sized, precious, and packaged with love, these Kosher OU-D products were manufactured in Holland with premium quality Belgian chocolate. The adorable little treats are available in many dazzling colors, and are sure to put a smile on all who attend your special day. 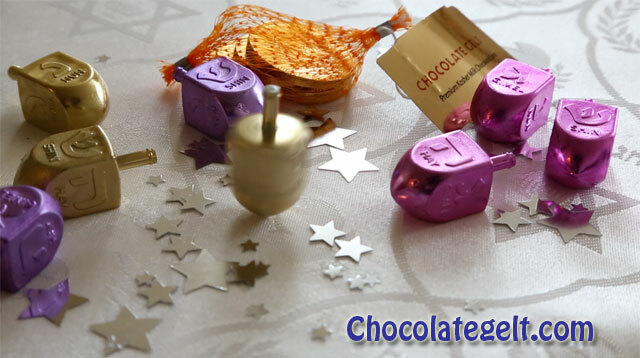 With their shiny wrapping and cheerful presentation, chocolate Mini Mazel Tovs make fun and elegant party decorations. For example, some people create table centerpieces featuring the delectable goodies, which everyone can take a handful of! Or, if your idea of a good party means sending your loved ones home with something special, you can include Mini Mazel Tovs in each gift bag. Adults and children alike love chocolate treats! Imprinted with English and Hebrew text, these unique creations can fit any theme. Varieties include Elegant black and white, classic gold, sparkling pink, shining silver, and Israel-themed blue and white. (If you just can’t decide, assorted colors are also available!) Which type best fits with your color palette? If you’re getting married soon, we hope you have the happiest day, and wish you much luck starting your new life together! Why Mini Mazel Tovs? Because Everyone Needs A Little Mazel!